Meet Nita! 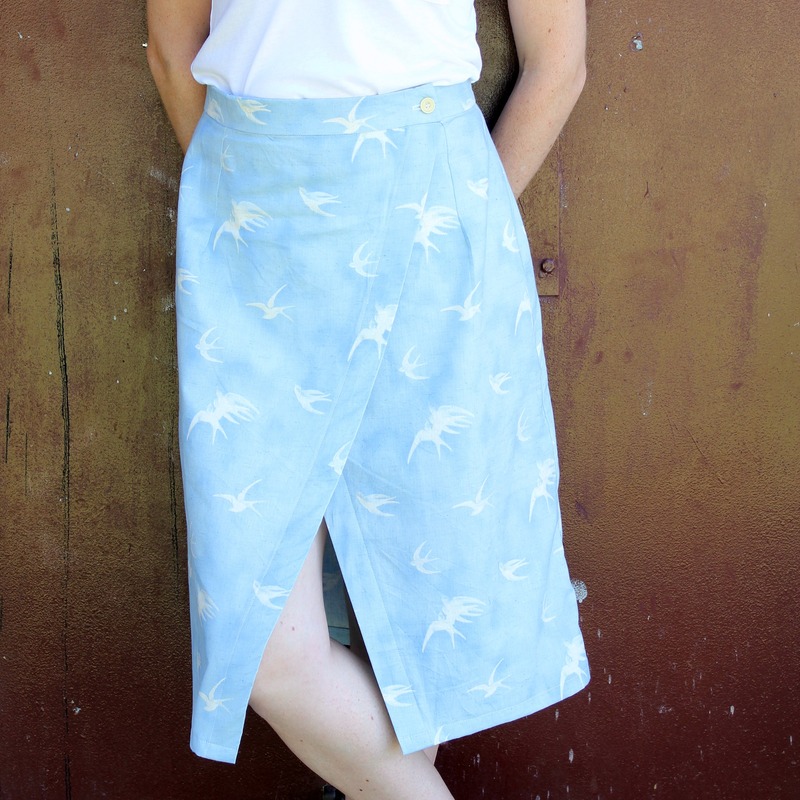 She is a wrap skirt and the newest pattern from Beth at Sew DIY. I was thrilled to pattern test the Nita wrap skirt. I think I have a little crush on Sew DIY patterns, remember my Lou Box Top? Yep, it’s also from Sew DIY. 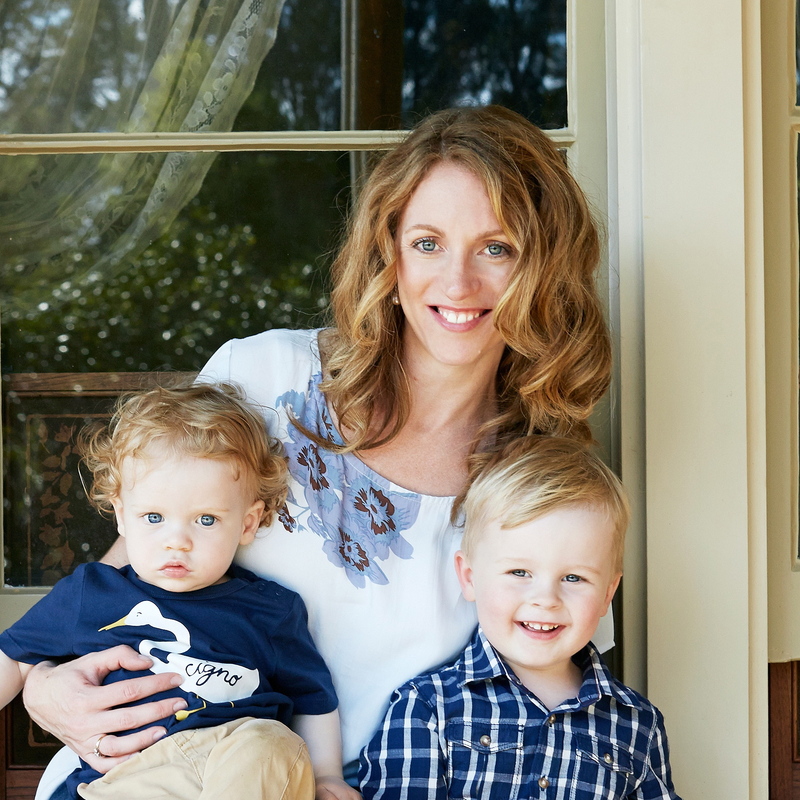 As with the Lou Box Top, the Nita wrap skirt comes with various options. There’s mini, midi and maxi, using a button, d-ring or tie as a closure. There are even instructions to line the skirt and the waist darts are a lovely attention to detail. What a versatile pattern! My Nita Wrap skirt is the midi length, with a button closure. I used up linen I’d had in my stash for a very long time. Other suggested fabrics for the skirt are cotton, corduroy, denim, crepe de chine or challis. I think the Nita, in a midi length, would be perfect for the office. I’m keeping an eye out for just the right fabric. I made a straight size 8, based on my waist measurement. That’s US sizing and meant the size was bigger than my usual ready to wear size. It ended up being an absolute spot on fit around my waist. I’m pleased I stuck with my actual waist measurement rather than making a smaller size! In future I will grade down a size or two for my hips. The curse of a chunky waist and narrow hips! The Nita Wrap Skirt is bound to start popping up over the web. There are some fabulous versions created by fellow pattern testers. Sara made a lovely midi version with a tie closure and impressive top stitching. Helen has made a very funky mini Nita, I love what she did with her fabric. 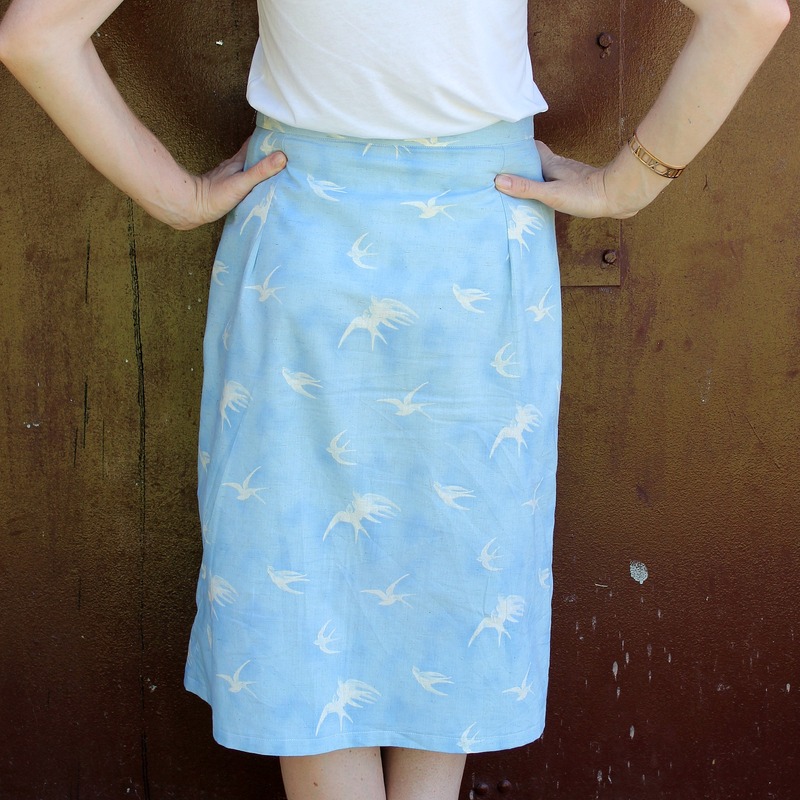 For a whole range of Nita wrap skirts, check out the pattern tester round up! 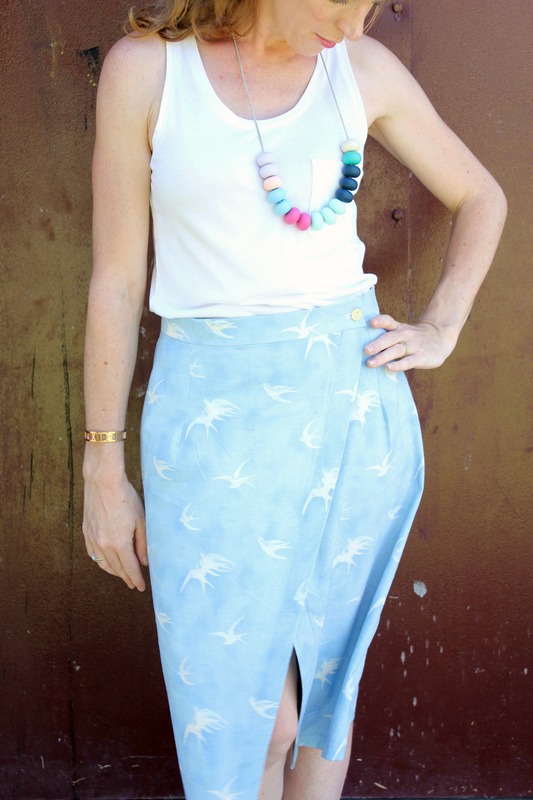 I love my first Nita wrap skirt, it’s a great fit, easy style to wear and a fabulous sew. 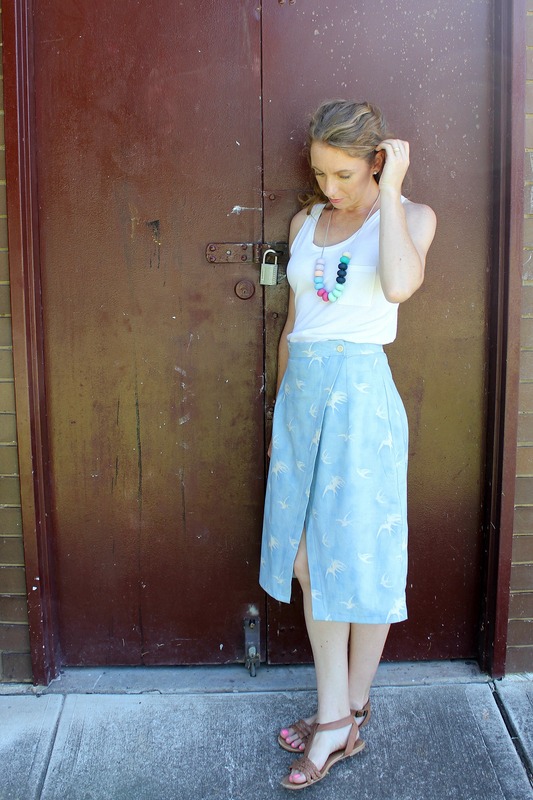 Keep an eye on the Sew DIY pattern shop for the Nita wrap skirt, it’ll be released very soon. I’d say the pattern is suitable for ‘advanced beginners’, like me, and beyond. I really love this pattern and it’s versatility, plus wrap skirts are very ‘on trend’ at the moment! EDIT – The Nita wrap skirt has been released, you can buy it here. 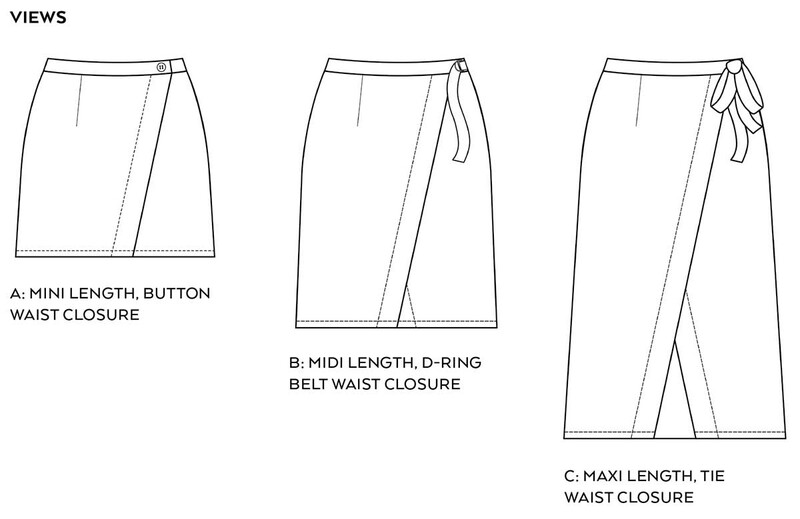 If you were making a Nita wrap skirt, which version would you make? Why thank you Hugzilla, you are very kind! Looks nice and cool, comfy and simple – just the sort of style I like. Well done! Thanks Emily, that’s a lovely comment. I’m very happy with the result! Oooh nice skirt. Funny I blogged a wrap skirt today too. Will have to try this one sometime. Thanks Lorelei, we’re both so on trend! I’ll pop over and check your skirt out.